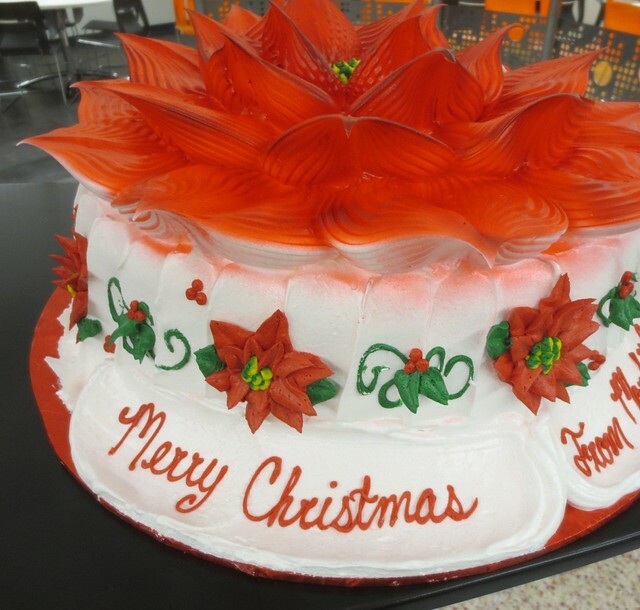 The traditional more-frosting-than-cake gift cake from our outside marketing firm showed up in the office kitchen again this year. As Purple Systems has grown, so have the cakes. Two years ago, it was a purple poinsettia with three rings of petals. This year, we got the four rings of petals size. Just walking by it, I could smell the sugar.